How to Permanently Erase Data from iPhone X/8? Wondering how to wipe out iPhone X or iPhone 8 data permanently? Being a owner of the new iPhone 8 or iPhone X, you'd better know how to better manage your new iPhone device, including how to permanently erase data from iPhone 8/X. Since some personal information is so sensitive and nobody wants to leak out the individual privacy, like contacts, photos, videos, passwords, messages, accounts, notes and etc, this article is going to show you a perfectly secure way to permanently erase data from iPhone X/8 without any chance to be recovered. Just read on to check it out! To permanently wipe out iPhone Data, it is highly recommended to ask for help from a professional 3rd-party iOS cleaning tool - iPhone Data Eraser. 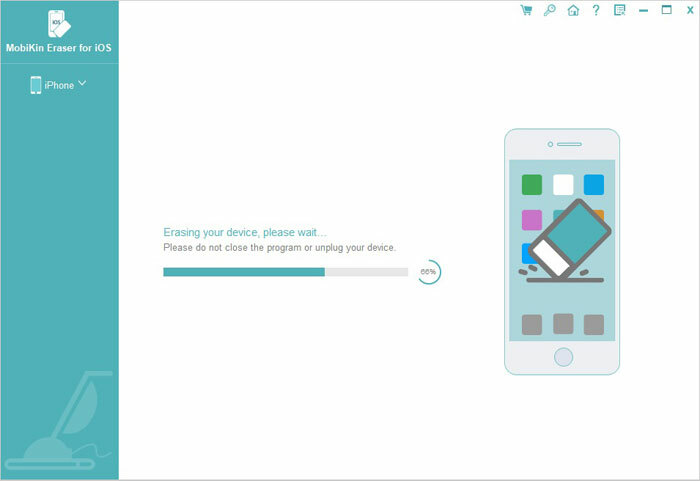 With this powerful tool, you can securely and completely erase the personal data on your iPhone X or iPhone 8 without any possibility of information leakages. In fact, this tool widely supports to wipe personal information off your iPhone, iPad and iPod on all generations, including iPhone X/8/8 Plus/7/7 Plus/6s/6s Plus/SE, iPad mini, iPod touch and so on. And you can use this software to erase Messages, Contacts, Call History, Notes, Safari History, Photos, Accounts & Password and etc. on your iOS device with zero opportunity to restore just within a few steps. Below are the free trail of the software in Mac and Windows version. Now download the right version of it and then follow the guide to erase your iPhone data step by step. NOTE: Before erasing files on your iPhone 8 or iPhone X, you'd better backup them to other places with MobiKin Assistant for iOS (Windows/Mac) at first for unexpected future needs. After downloading and installing the right version of the software on your computer, you can start to follow the instructions as below to erase iPhone 8 data or wipe out iPhone X files as you like. 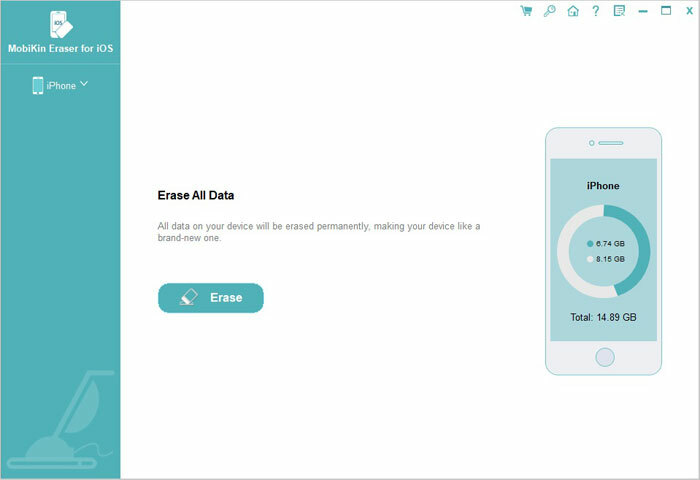 This tool has different erasing modes for your various needs, including the "Erase All Data" mode, "Erase Private Data" mode, "Erase Deleted Data" mode and "iOS Optimizer" mode and etc. You can choose one of them according to your need. Plug your iPhone X or iPhone 8 to your personal computer with the USB cable, then launch the program. This software will automatically detect the connected device. Then all the data on your iPhone will be found and displayed in the program, like contacts, call history, text messages, safari history and etc. Just select the files that you don't need and move to the next step. Finally, erase iPhone data right now! When you have marked all undesired files, you can click "Erase Now" button and type "delete" on the box to confirm your action and begin to erase data from iPhone X or iPhone 8 permanently. Best iOS Optimizer - How to Optimize Storage on iPhone/iPad/iPod? How to Erase or Wipe iPad Data before Selling? How to Delete Recently Deleted on iPhone/iPad?